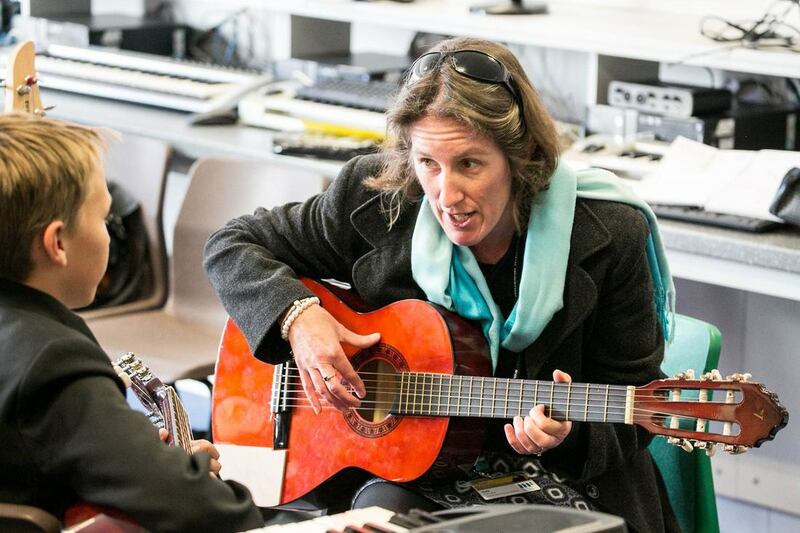 Incorporating our Everyone Can Play whole class instrument by instrument resources, Just Play is our Musical Futures 'first access' programme for both teachers and students. Consisting of audio/visual resources and play alongs that support whole class instrumental performing, composing and improvising, Just Play encourages the development of holistic musical skills through playing and creating music as a whole class band. "Music is about a holistic sense of personal identity and connection with family, clan, world neighbours and the planet we inhabit. Individuals and communities large and small need a positive sense of identity in order to be well. 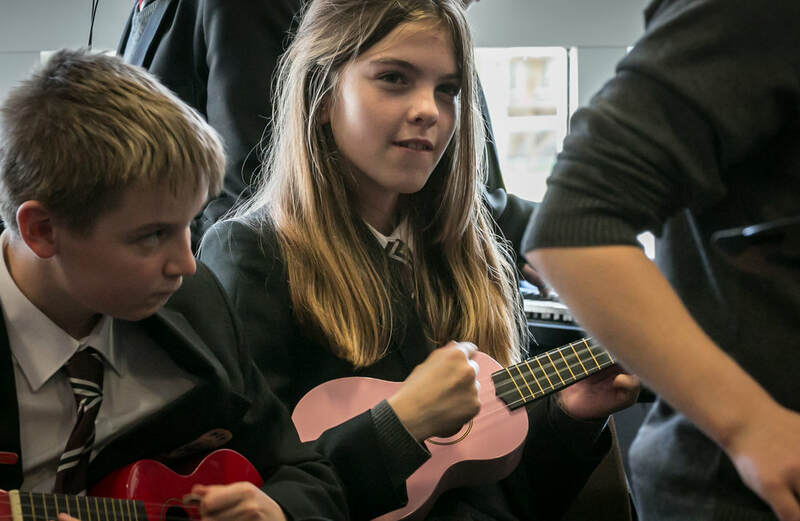 These are the reasons for music’s continued ubiquity"
The positive impact that participation in music-making can engender is one that drives the core Musical Futures aim that classroom music should be fun, engaging and practical - Just Play! 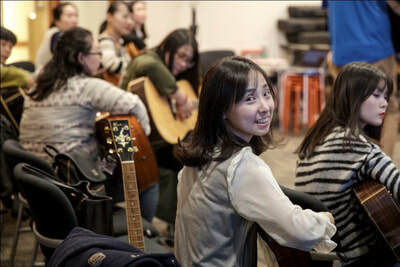 ​And building musical skills is about more than how to play a few notes or chords on an instrument. In order to be able to play as part of any ensemble there are many key musical skills and understanding needed such as listening, following, taking turns, understanding how music is constructed, shaped and interpreted, knowing how and why different musical activities are taking place, recognising musical notations, feeling and following a pulse. All (and so many more) are an important part of foundational musical development. More importantly, exploring these can help to make musical learning sustainable by building a holistic musical experience into the learning and teaching of music which can then lead onto creating and composing music as well. We believe that in order to achieve the independent and self-directed informal, independent learning that is the aspiration of Musical Futures International, it is important for students and teachers to develop sufficient skills, knowledge and understanding, both musical and instrumental. However the move towards resource-led approaches raises some questions about how Just Play fits within the Musical Futures International ethos and pedagogical approach. The Just Play workshops were originally designed to increase teacher confidence with new, practical approaches they may be less familiar with as well as to encourage them to develop some basic skills on guitar, keys, bass, uke and drums. The resources were designed to help teachers to feel more confident to lead learning as musical leaders with the aim of students performing as a whole class band and to provide something that could be used straight away in the classroom. Students rotate regularly so that they all play each instrument which ensures a level of challenge and breadth of experience, with the development of new content keeping repertoire fresh, contemporary, music that students recognise and engage with and enjoy playing. In the UK, the approach was originally designed for generalist primary school teachers who often felt that they weren't 'musical' themselves and so Just Play helped many to take a step in to leading music activities through playing and participating alongside their students. For music specialists, Just Play has become an accessible and musical way for them to 'skill up' all students on a range of instruments whilst also supporting large group music making. The aim is to encourage students to listen, copy and follow the music, maintain a pulse, play in time etc. 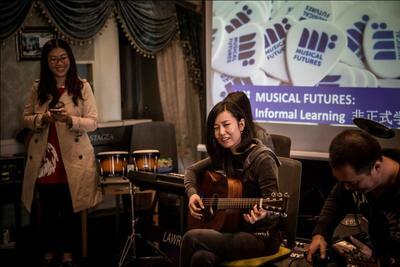 However, Musical Futures International doesn't end with a play along. Using non-formal teaching and informal learning, we want to encourage all students to perform, compose, improvise and listen across a range of musical styles and genres. 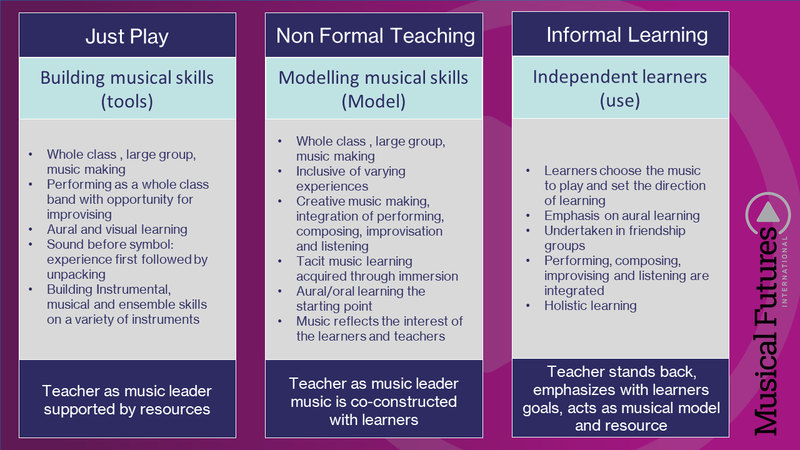 Once they can play the it's time to look at how dipping into our core pedagogies and moving away from resource-led music learning can add breadth and depth to the music curriculum through understanding the range of different ways there are to learn music and how and why teachers teach it. ​Music Futures International is not content specific, it is not a 6-week unit or work nor is it a rock and pop/popular music program. Our workshops help teachers to support students to continue to develop as musical learners 'beyond the play along'. The development of a set of resources that support teachers to deliver Just Play straight away, workshops that help teachers to rethink their identity as musical leaders with their classes has made Just Play one of the most successful Musical Futures International approaches to date. It is always a workshop that we love to deliver with students and/or teachers no matter where in the world we are working! As part of our scoping for the development of Just Play, we visited schools in New York City to see the work of Little Kids Rock, a Non-Profit organisation dedicated to "restoring, expanding and innovating music education in schools". It was their generosity in sharing resources and experiences that enabled us to define and develop the approach that later became known as Just Play. Little Kids Rock shares some fantastic free resources for teachers via their website which is well worth a visit. ​Just Play was then co-developed by both Musical Futures UK and Musical Futures Australia, with the latter leading on the further development of an entry level series of play alongs called 'Everyone Can Play' aimed at younger learners.